Gun activist have, almost immediately and effectively in unison, began to blame the fact that Umpqua Community College and most other locations where we see these high profile mass murders are “Gun Free Zones”, where most people, including your “Good guy with a gun”, are not allowed to bring guns and since criminals don’t obey laws, they are the only ones that bring guns in these location and have free reign to kill as many people possible with no one to stop them because apparently the only way these people are stopped is with a “good guy with a gun”. That is the argument that gun activist have shoved my way throughout the weekend. Well, as you can imagine, they’re absolutely wrong. Again. Yeah. This guy… who I’m almost positive would shoot anyone from the Obama Administration that tried to take his gun, he was armed. Now, as I’m pretty sure he is fully versed on Oregon law, he’s also smart enough to know that a “good guy with a gun” are the ones we pay and give badges to. So much for that logic there. But, of course, gun activist talk about everywhere else where there’s a shooting is logically a “Gun Free Zone”, all 10,000 murders through the year naturally. They point at Chicago and Washington D.C., cities with strict gun control laws that restrict ownership and say “See! These places don’t allow guns and people still get killed!” What they won’t tell you is not only are these city streets flooded with illegally gained firearms, but they won’t tell you they’re coming from surrounding states like Virginia and Indiana that don’t share their restrictions. They should know that there aren’t no weapon factories in the Southside of Chicago or outside the Capitol Heights Metro. Do any of these gun activist ever ask themselves where do these guns come from? No, because if they did, they would stop the blind ignorance and realize these city streets are in fact not gun free zones at all. June 1994, Fairchild Air Force Base, an airman shot 27 people, killing four. October 1995, Fort Bragg, a sergeant shot 19 people, killed one. November 2009, Fort Hood, 45 people shot, 13 killed. September 2013, Washington Naval Yard, 16 shot, killing 12. April 2014, Fort Hood, 19 shot, three killed. These are just some of the locations where not only were there good guys with guns, but they were expected to be good guys with guns there. If that weren’t enough, Columbine High School had armed security in the building when 34 were shot and 13 kids were killed. Virginia Tech, like many 4-year colleges have their own police force when 49 were shot, 33 of which were killed in 2007. Just like Northern Illinois did too when 22 were shot, with 5 killed a year later. There are others, several others where a murder could not possibly have any idea who may or may not be armed when they decide to go kill a mass of people. Fact of the matter is these mass murders don’t go research areas are “Gun Free Zones” and target areas they think won’t have anyone to shoot them. Jared Loughner did not go to a Safeway in Tucson and say “Hey, I don’t think they’ll be anyone with guns here, oh wait a congresswoman is here!” James Holmes didn’t go see “Magic Mike” and decide he hated it so much that he had to shoot 60 people and kill 12 of them. Dylann Roof could have tripped outside of his door in Columbia, South Carolina to find a black church to go kill people. That’s not how this worked. Adam Lanza targeted the school his mother worked at, that he attended. Nadal Hassan was stationed at Fort Hood. James Huberty went to a crowded McDonald’s 200 feet from his front door when he shot 40 people, killing 21 of them. Omar Thornton was just fired from his job when he took his gun and shot 10 people, killing eight. And that’s just some of the more prolific shootings. And even IF you assume the gun activist are completely right about these mass murderers targeting “Gun Free Zones” as the only places they’ll go shoot, that still don’t answer your everyday murder, in homes, in back alleys and street corners across America on a daily basis. The laughable part of it all is that gun activist in one breath try to convince us that these are all just crazy people, then in another expect us to believe these same crazy people are rational enough to calculate the probability that they will not encounter anyone armed to get in their way. In most cases, murderers target by connection and convenience. Not by perceived ease of murder. Because what makes it easy isn’t a supposed “Gun Free Zone”. It’s made easy by the gun itself. “There’s Nothing We Could Have Done to Prevent…” What? On Thursday, Chris Harper Mercer, a 26-year old overly sheltered scumbag from some decrepit corner of dirt gathered half the firearms he legally bought(six in total), along with several magazines and a flak jacket and walked on to the campus of Umpqua Community College in Roseburg, Oregon and would proceed to shoot 18 people, killing nine before being killed himself by law enforcement. This is the latest mass shootings that has captured the nation’s attention, which occurs almost on a monthly basis. Just over a month ago, Vester Lee Flanagan took a gun and shot three people, killing two near Roanoke, Virginia. Just over a month before that, John Russell Houser pulled out a handgun in the middle of a theater in Lafayette, Louisiana and shot 11, killing two. The month prior to that, Dylann Roof walked into a church in Charleston, South Carolina and shot and killed nine. This list hardly stops here. Isla Vista, California, 6 dead. Fort Hood in 2014, 18 shot, 2 dead. Fort Hood in 2009, 45 shot and 13 dead. Washington, DC, 12 killed. Newtown, Connecticut, 26 killed. Aurora, Colorado, 12 killed, 58 wounded. Tuscon, Arizona, 17 shot and 6 killed. Each of these are for the most part in the last five years. This list can go back decades. These mass slaughters are not new. Neither are the excuses given as to the lack of inaction by our elected leaders that refuse to do anything to stop them. They look what happened in Oregon with a screwball like Chris Harper-Mercer, him obtaining his guns legally, bought or gifted, with mental health issues known but not treated and swear up and down that “there’s nothing we could have done to prevent this.” They’re assuming since he was not a criminal(which pretty much negates the “criminals don’t obey laws” excuse) and that no one could have predicted that his mental issues would have lead to this(which makes me wonder why is his mother giving him guns knowing he is mentally unstable) so stopping this would have been a virtual impossibility. This was also said about Vester Flanagan, Adam Lanza, Jared Loughner, James Holmes, Aaron Alexis, Dylann roof and most others who commit these mass shootings. And you know what? They’re right! Well, I know it’s a load, but I’ll pretend they’re right anyway. Because at the end of the day, these high profile mass murders represent less than ONE PERCENT of murders committed throughout the year. That’s 1% of murders, according to this thought, that we were absolutely helpless from stopping. But what are we doing about the other 99%? Do any of these gun activist really expect me to believe there is nothing we could have done to prevent any of those? There is a entire swath of thought in our modern political discourse, when debating gun politics, are absolutely resigned to a horrifically foul normal of mass murder without any sensible safety measures given to address such a disparity. Instead of proposing or passing any legislation to make a 30,000 a year number to something like at least a 20,000 a year number and have tighter sale control on firearms or more exhaustive background checks, trafficking and straw purchasing, the other side idly points the finger at the mentally disabled as the problem with guns in America and then…. Nothing. No new legislation. No public awareness campaigns, no investment in mental health and social services. Nothing. You know what it’s called when you blame problems elsewhere without a workable solution? It’s called a deflection. It’s rather a deflection or they really don’t care about actually solving the problem. And I have a hard time convincing myself that so many people are so apathetic to what’s happened to our society. But going back to the premise that all mass shootings are done by those with mental disabilities. And while we’re at it, let’s expand that to include all that commit suicide with a firearm, approximately 20,000 people a year. This leaves THOUSANDS of murderers that kill others with firearms on a yearly basis. To believe that, you would also have to believe that our population of mentally ill persons throughout the country is staggeringly higher than every other nation on earth. Or we insist on not treating these individuals, which would explain why our mental health funding is as poor as it is. Even still one thing that is not being addressed is how these people are getting guns, regardless of their mental health status. And I’ve said before, which is often overlooked, if we found the source of these weapons we can do something about it. This isn’t the Matrix. These murderers do not just dial a number and WOOSH aisles and aisle of guns show up for a dirtbag criminal just to grab? Is this a video game where they punch in a cheat code and CHA-CHING their inventory is loaded with any gun they want? No, that’s not how any of this works. Criminals get their guns from irresponsible gun owners and unethical gun dealers. Chris Harper-Mercer was GIVEN some of his guns by his family. Seriously, what kind of sense does that make? 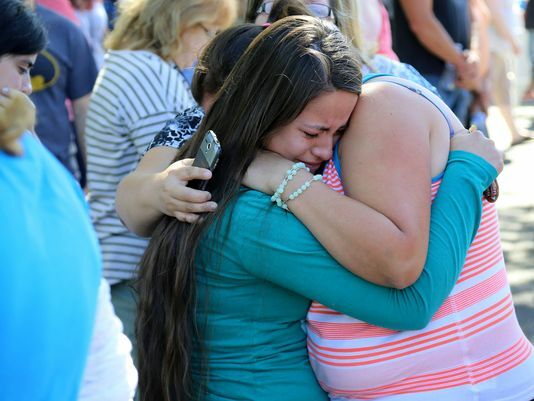 How would you feel if it was your brother or sister, mother or father that was killed in Roseburg with a gun that was GIVEN to a killer by a family that KNEW he was struggling with mental issues? They knew and still gave him MORE guns. How can anyone be okay with letting THAT happen? Ultimately though, they did. And these guns, along with the ones he bought were used to shoot 18 people and kill nine of them. Could there have been anything we could have done to prevented this from happening? Maybe. Maybe hold his family civilly and/or criminally liable for giving a mentally unstable son firearms. Maybe have mental health screenings and evaluations for everyone seeking to buy a gun. Increase background checks and restrict firearm licensing. 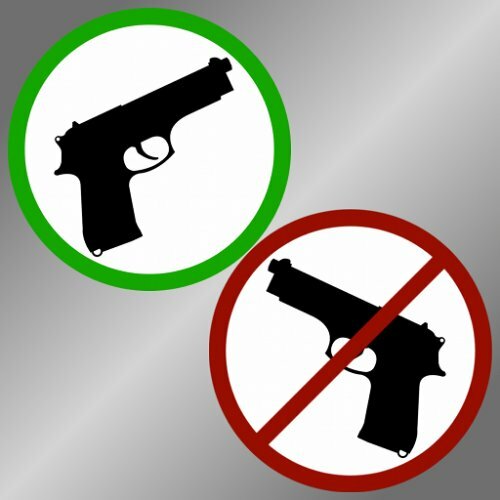 We’ve constantly updated the list of prohibited persons able to buy firearms, but for whatever reason stopped in the 1990s. We can still do it now if we had the political will. That said, if none of that actually worked and there was truly no way from preventing this massacre from happening, then perhaps we can take steps to prevent the 25 to 30 people that will be shot and killed across the nation today. There’s no reason why we shouldn’t. Chris Harper-Mercer is dead. But American streets still have drug turf wars, domestic violence disputes, wanna be thugs trying to prove they’re hard men, desperate criminals carelessly taking advantage of others. These are the people we need to prevent from obtaining and using guns in this nation. And so far we’ve done an incredibly poor job of it. These mass murders we see on the news every month are not the norm. They are only one part of a multi-faceted problem. They only highlight what is an out of control problem and how much we’re not doing to stem a tide of homicidal violence. When someone is shot and killed on average, every hour of every day of every year, it illustrates a problem this country has that is not being addressed. The fight for gun control isn’t to prevent the tragedy that already happened. It’s to prevent the tragedy that will happen next. And, as I live and breath, there will be a next one. Everyone knows there will. And there is something we can do to prevent THAT.